Coffee Morning – Wed 4th Nov.
Our next coffee morning will be on Wednesday 4th November at our newly altered Village Hall at Chaffcombe from 10.30 – 12.00. You are invited to come along and spend a little time with us, seeing friends and making new friends. 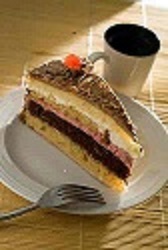 Homemade cakes, tea and coffee available. Also a bric-a-brac stall. This month donations will be in aid of Landmine Clearance. Come and join us and enjoy the chat.